The quality of school leadership, along with that of teachers, matters for student outcomes, especially for students in under-resourced schools. The University of Illinois at Chicago (UIC) Center for Urban Education Leadership (CUEL) sits at the center of a long-standing effort to improve principal quality in the Chicago Public Schools through a process of continuous improvement. CUEL’s work demonstrates how commitment to disciplined learning can yield extraordinary results in helping school leaders to improve schools. CUEL provides support for continuous improvement to the EdD Program in Urban Education Leadership at UIC, which produces principals and other leaders for urban schools. Since the partnership began in 2002, CUEL has trained 15 cohorts of students, with 94% of program completers entering administration, primarily as principals, and 78% of completers remaining in school leadership or policy positions. These numbers are in contrast to most leadership programs, in which the principal placement averages approximately 15%. Without strong leadership, schools have difficulty ensuring that each and every student experiences quality teaching and learning every day. The EdD program focuses on advancing equity by preparing principals to be improvement leaders and to conduct focused inquiry in the nation’s most challenging and under-resourced schools. With 110 leaders trained by UIC, the program has dramatically expanded Chicago’s overall capacity for school improvement. WITHOUT STRONG LEADERSHIP, SCHOOLS HAVE DIFFICULTY ENSURING THAT EACH AND EVERY STUDENT EXPERIENCES QUALITY TEACHING AND LEARNING EVERY DAY. UIC faculty and CUEL staff sought ways to improve every aspect of the program, from the recruitment and selection of candidates, to integrating academic content and school-based leadership coaching, to the culminating research project that candidates complete. By looking at what highly effective principals do, UIC and CUEL learned what it would take to advance those practices at scale. Recognizing that candidate selection matters, the network studied the markers of highly effective principals so that it may better select for those qualities during the admission process and only advance those who provide sufficient evidence of those markers. In addition, CUEL candidates complete a full-year residency under the mentorship of a principal, as well as three years of coursework to support disciplined inquiry, culminating in a capstone project that demonstrates their impact on school outcomes. In addition, they receive three years of structured leadership coaching—one year prior to licensure and at least two years after—by former Chicago Public Schools principals who dramatically improved achievement in their schools. 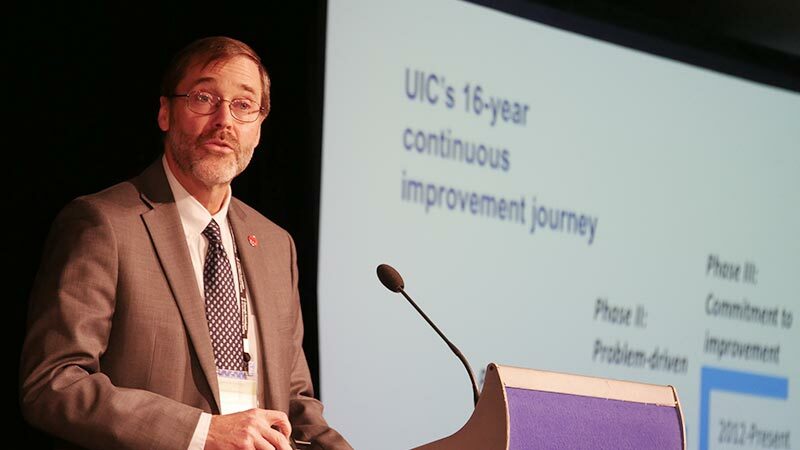 VIDEO: A presentation by the Center for Urban Education Leadership, University of Illinois at Chicago, at the Spotlight on Quality in Continuous Improvement Symposium on November 15, 2018, in Washington, DC. 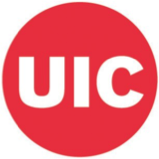 UIC is forming a networked improvement community of principals who lead schools disadvantaged by student conditions such as high rates of homelessness, foster care placement, and turnover, in order to collect and analyze data on the principal capacities that lead to success in such schools. Over the past 16 years, UIC has built a deep partnership with the Chicago Public Schools to prepare leaders specifically for Chicago. While UIC does not take credit for the progress the city schools are making—they are among the most rapidly improving schools in the nation—schools headed up by UIC leaders on average outperform comparable Chicago schools led by non-UIC-prepared principals on a range of metrics. In the context of a large, improving urban school system, UIC-led schools are helping to accelerate that improvement. UIC’s documentation of what is needed to prepare effective leaders also has helped shape what Illinois expects to see in the leaders it certifies. UIC leads the legislative task force that changed the state’s principal certification law. Other districts and states are now looking to CUEL as a thought partner to help revitalize their preparation of principals. The UIC story spotlights an innovative principal development program that has used disciplined continuous improvement strategies over an extended period of time to reshape how a university and its local school district can partner to fundamentally transform principal preparation in America’s third-largest city. * As reported by the Spotlight recipient.